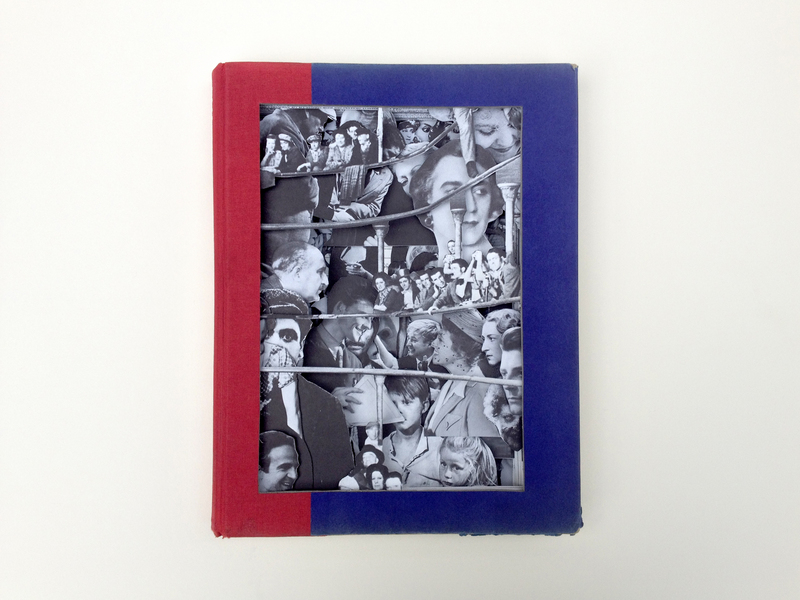 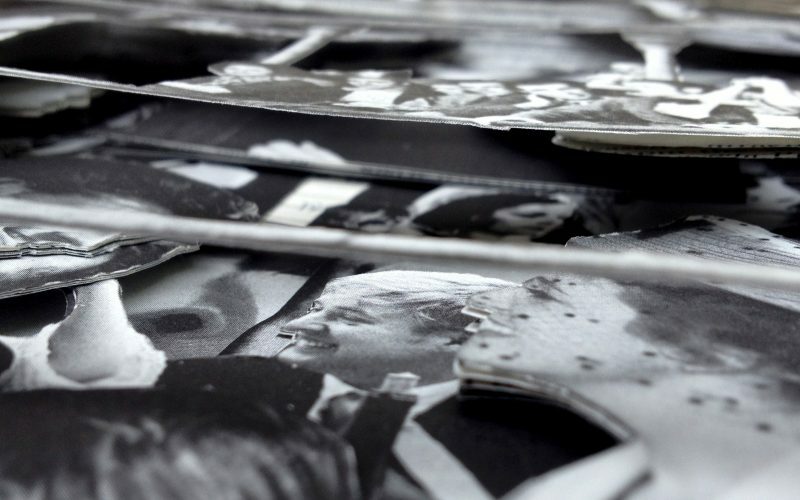 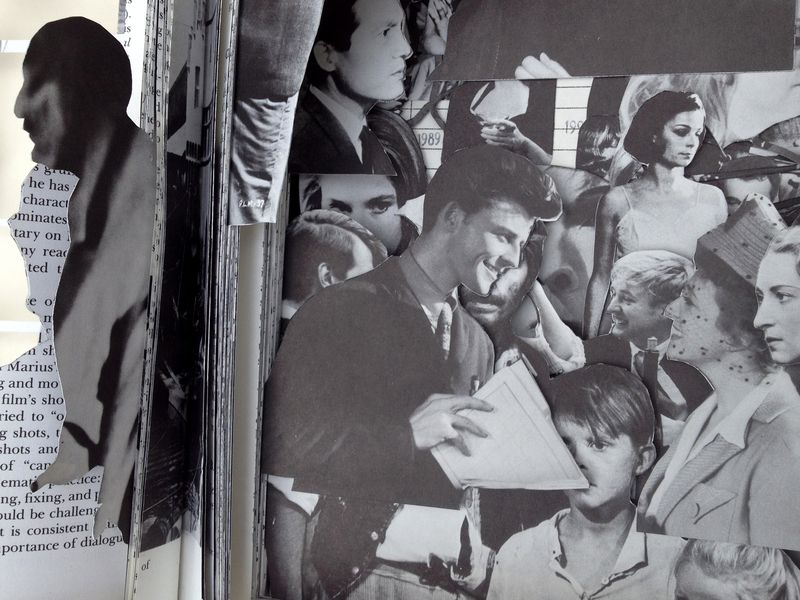 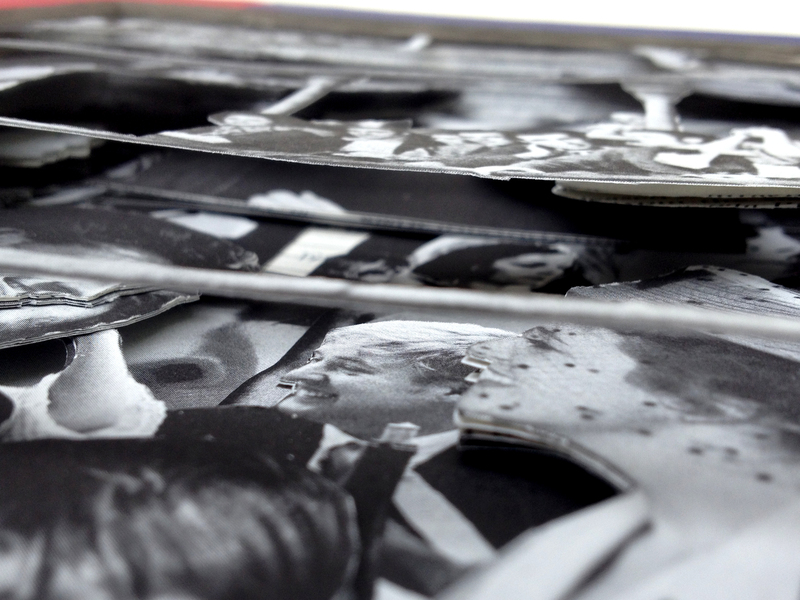 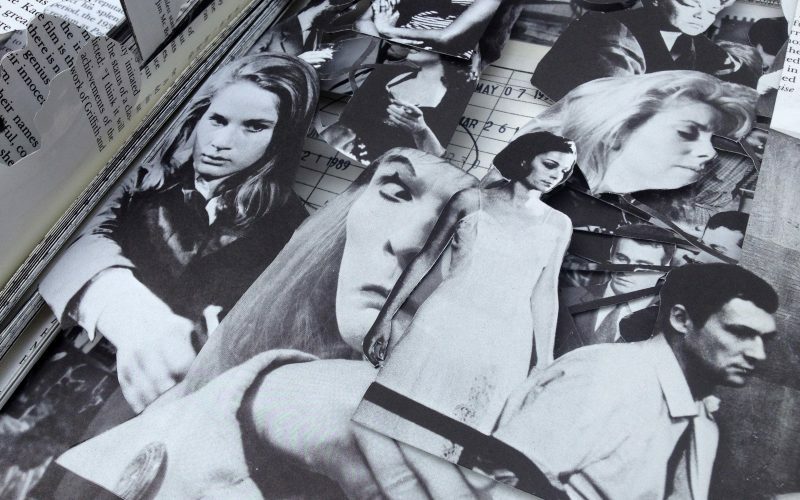 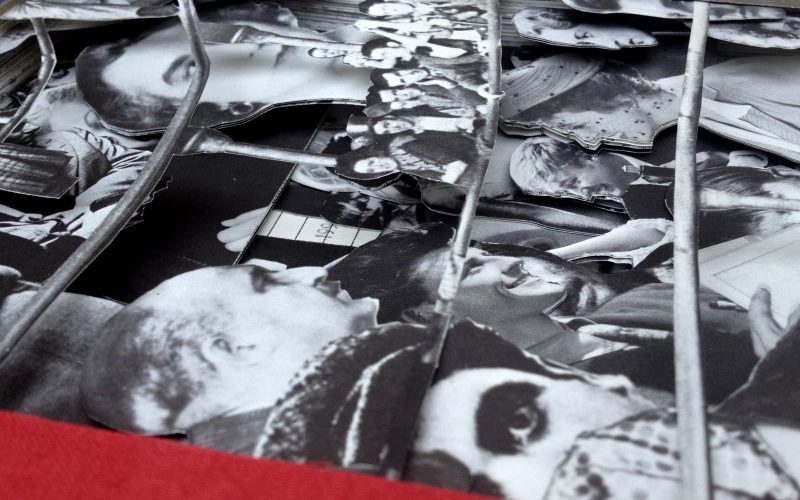 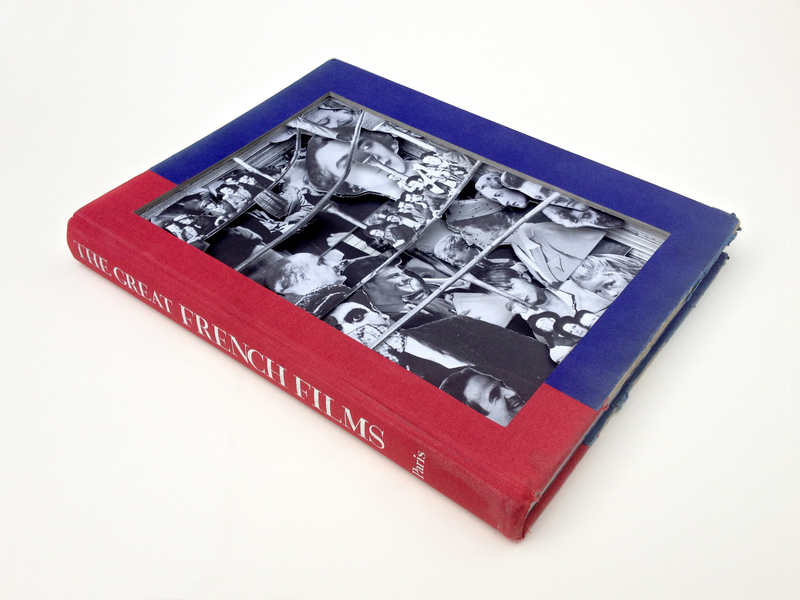 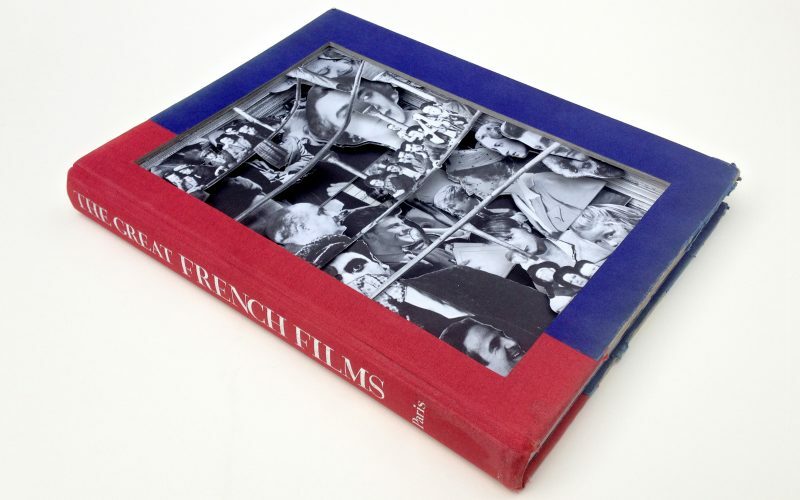 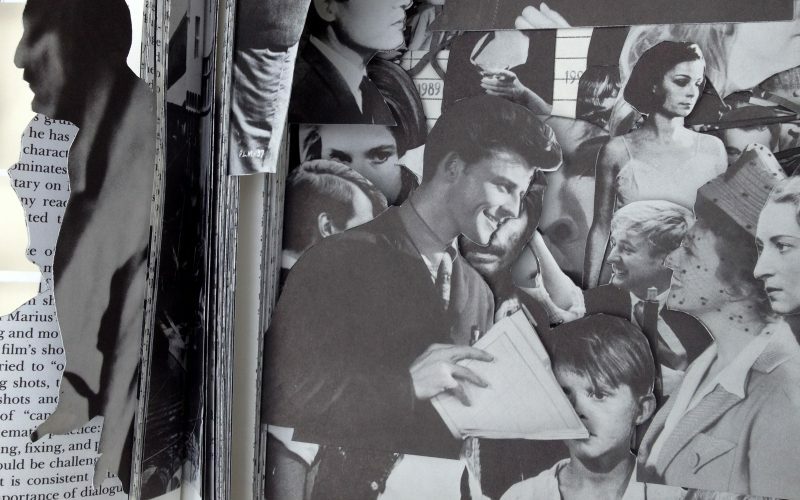 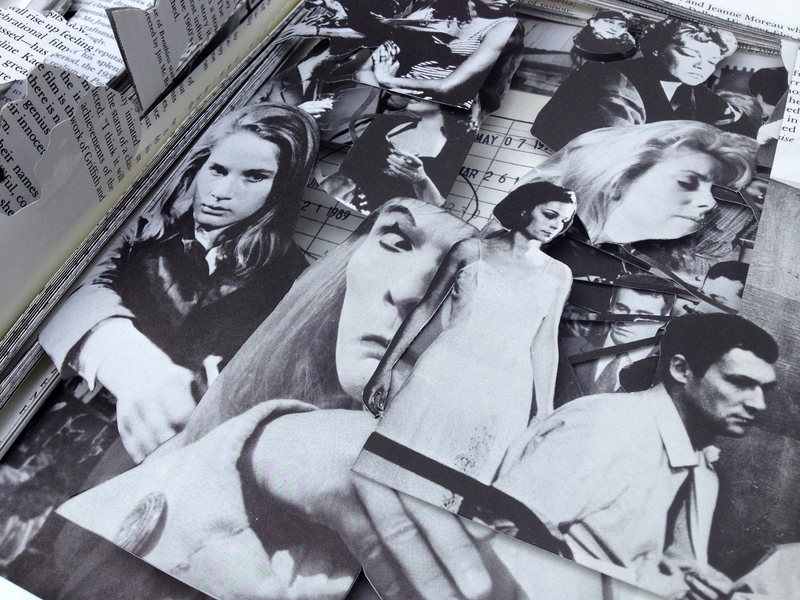 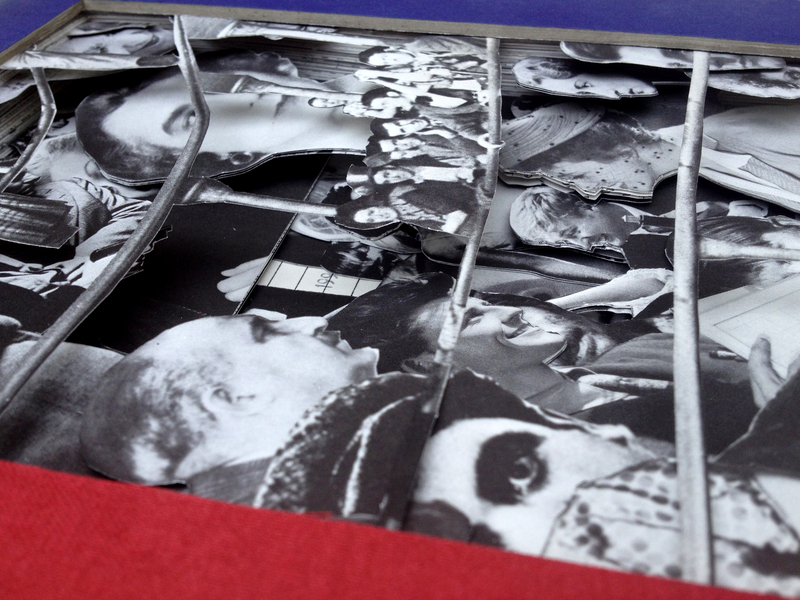 A found book about French films where the chronological order normally dictated by paper, pages and chapters has been overtaken through the act of cutting, in order to create a unique relation between images. 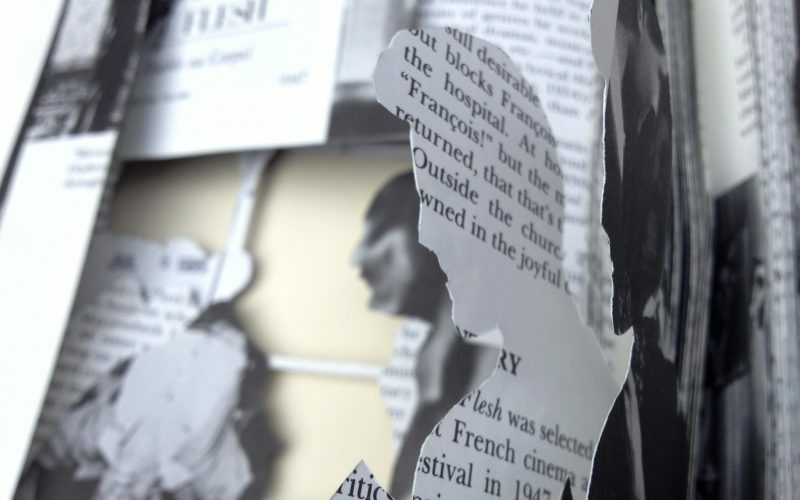 The written text has been completely removed and the images have been carefully selected: the result is a silent dialogue between characters that have never gazed at each others that way before. 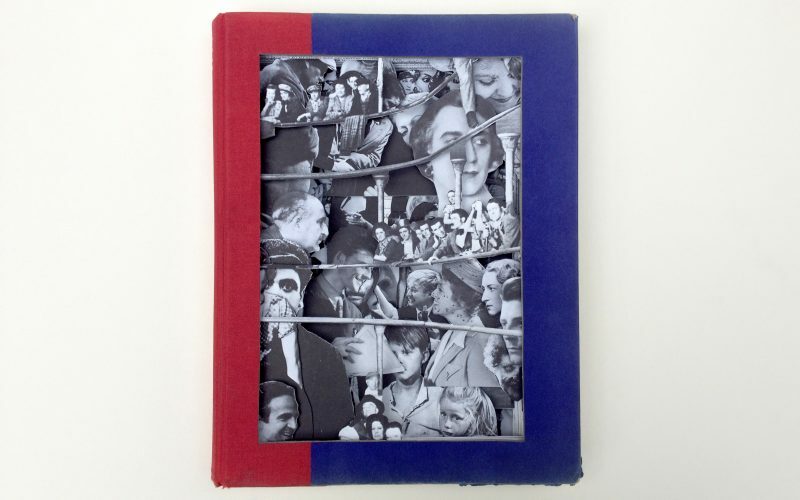 The spatial alteration of the book is strongly connected to a different way of perceiving time, that is no more a logical sequence, but the simultaneous existence of distant decades. 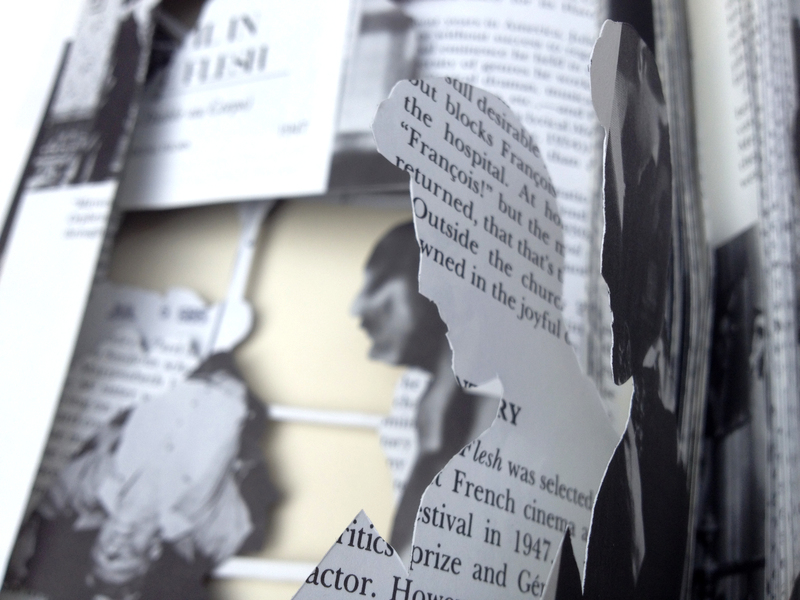 Watch the animation of the work in progress.